In April 2015 we were appointed to redesign and extend the downstairs living area of a Victorian terraced property located in Grantchester Meadows. The project also entailed remodeling a loft conversion and back garden space. Internally, the aim was to preserve existing features of the property whilst fulfilling our sustainability initiative of lowering energy use, carbon emissions and water consumption. We also wanted to ensure that, where possible, elements of the design would utilise materials that were durable, required low maintenance and could be recycled in the long term. The floors and walls of the entire build were dry-lined, with underfloor heating and a fresh-air inlet system incorporated to conserve heat use. 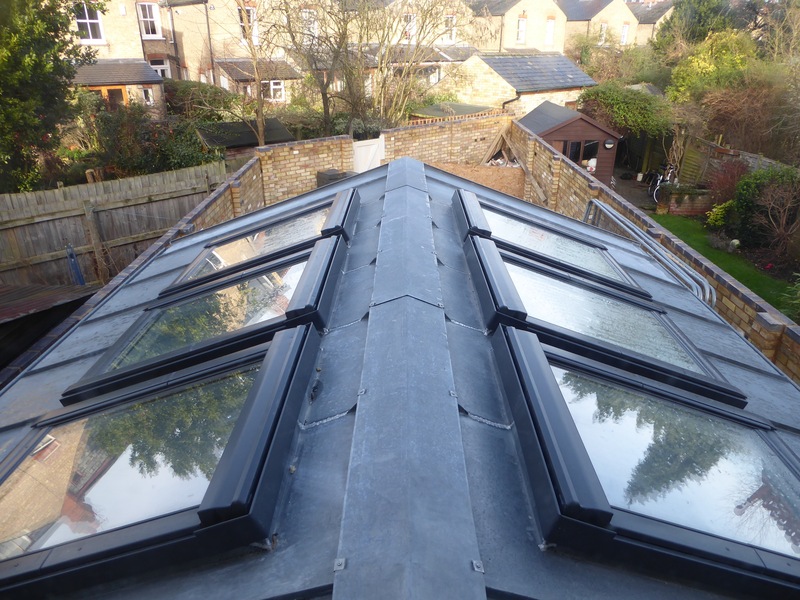 The kitchen and loft skylights were installed to provide high amounts of natural light, and original windows adapted to take high performance double glazing. Joinery and mouldings were also sourced from local craftsman, and designed to match those existing, with low maintenance materials such as zinc roofing and polyester powder coating utilised also used to ensure durability. The project has managed to successfully balance the incorporation of strong elements of sustainability without compromising either the aesthetics of the property or quality of the materials used.